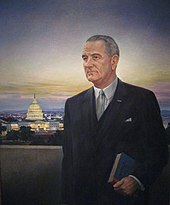 In domestic policy, Johnson designed the " Great Society" legislation to expand civil rights, public broadcasting, Medicare, Medicaid, aid to education, the arts, urban and rural development, public services and his " War on Poverty". Assisted in part by a growing economy, the War on Poverty helped millions of Americans rise above the poverty line during his administration. Civil rights bills that he signed into law banned racial discrimination in public facilities, interstate commerce, the workplace and housing; the Voting Rights Act prohibited certain requirements in southern states used to disenfranchise African Americans. With the passage of the Immigration and Nationality Act of 1965, the country's immigration system was reformed, encouraging greater emigration from regions other than Europe. Johnson's presidency marked the peak of modern liberalism after the New Deal era. 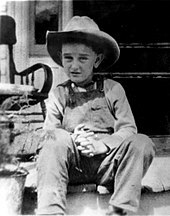 In 1937, Johnson successfully campaigned in a special election for Texas's 10th congressional district, that covered Austin and the surrounding hill country. He ran on a New Deal platform and was effectively aided by his wife. He served in the House from April 10, 1937, to January 3, 1949. 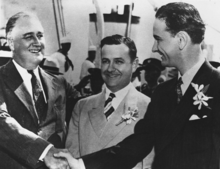 President Franklin D. Roosevelt found Johnson to be a welcome ally and conduit for information, particularly with regard to issues concerning internal politics in Texas ( Operation Texas) and the machinations of Vice President John Nance Garner and Speaker of the House Sam Rayburn. 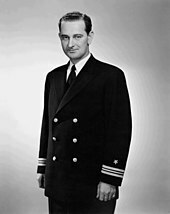 Johnson was immediately appointed to the Naval Affairs Committee. He worked for rural electrification and other improvements for his district. 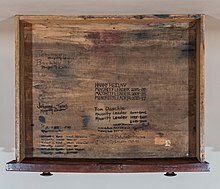 Johnson steered the projects towards contractors that he personally knew, such as the Brown Brothers, Herman and George, who would finance much of Johnson's future career. 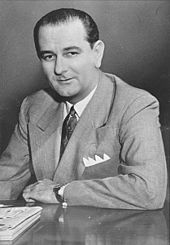 In 1941, he ran for the Democratic U.S. Senate nomination in a special election; his main opponent was the sitting Governor of Texas, businessman and radio personality W. Lee O'Daniel; Johnson narrowly lost the Democratic primary, which was then tantamount to election, with O'Daniel receiving 175,590 votes (30.49 percent), and Johnson 174,279 (30.26 percent). Johnson sought to increase his influence within the executive branch. He drafted an executive order for Kennedy's signature, granting Johnson "general supervision" over matters of national security, and requiring all government agencies to "cooperate fully with the vice president in the carrying out of these assignments." Kennedy's response was to sign a non-binding letter requesting Johnson to "review" national security policies instead. 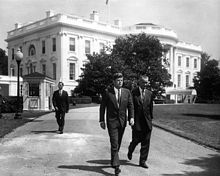 Kennedy similarly turned down early requests from Johnson to be given an office adjacent to the Oval Office, and to employ a full-time Vice Presidential staff within the White House. 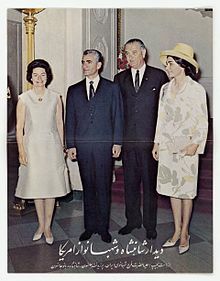 His lack of influence was thrown into relief later in 1961 when Kennedy appointed Johnson's friend Sarah T. Hughes to a federal judgeship, whereas Johnson had tried and failed to garner the nomination for Hughes at the beginning of his vice presidency. House Speaker Sam Rayburn wrangled the appointment from Kennedy in exchange for support of an administration bill. Kennedy, however, made efforts to keep Johnson busy, informed, and at the White House often, telling aides, "I can't afford to have my vice president, who knows every reporter in Washington, going around saying we're all screwed up, so we're going to keep him happy." Kennedy appointed him to jobs such as head of the President's Committee on Equal Employment Opportunities, through which he worked with African Americans and other minorities. Kennedy may have intended this to remain a more nominal position, but Taylor Branch in Pillar of Fire contends that Johnson pushed the Kennedy administration's actions further and faster for civil rights than Kennedy originally intended to go. Branch notes the irony of Johnson being the advocate for civil rights, when the Kennedy family had hoped that he would appeal to conservative southern voters. In particular, he notes Johnson's Memorial Day 1963 speech at Gettysburg, Pennsylvania as being a catalyst that led to more action. 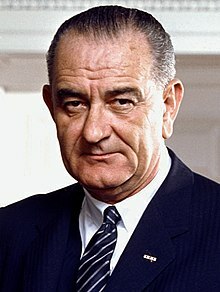 In the days following the assassination, Lyndon B. Johnson made an address to Congress saying that "No memorial oration or eulogy could more eloquently honor President Kennedy's memory than the earliest possible passage of the Civil Rights Bill for which he fought so long." The wave of national grief following the assassination gave enormous momentum to Johnson's promise to carry out Kennedy's plans and his policy of seizing Kennedy's legacy to give momentum to his legislative agenda. For the first time, large amounts of federal money went to public schools. In practice ESEA meant helping all public school districts, with more money going to districts that had large proportions of students from poor families (which included all the big cities). For the first time private schools (most of them Catholic schools in the inner cities) received services, such as library funding, comprising about 12 percent of the ESEA budget. Though federal funds were involved, they were administered by local officials, and by 1977 it was reported that less than half of the funds were actually applied toward the education of children under the poverty line. Dallek further reports that researchers cited by Hugh Davis Graham soon found that poverty had more to do with family background and neighborhood conditions than the quantity of education a child received. Early studies suggested initial improvements for poor children helped by ESEA reading and math programs, but later assessments indicated that benefits faded quickly and left pupils little better off than those not in the schemes. Johnson's second major education program was the Higher Education Act of 1965, which focused on funding for lower income students, including grants, work-study money, and government loans. Although ESEA solidified Johnson's support among K-12 teachers' unions, neither the Higher Education Act nor the new endowments mollified the college professors and students growing increasingly uneasy with the war in Vietnam. In 1967, Johnson signed the Public Broadcasting Act to create educational television programs to supplement the broadcast networks. Johnson's initial effort to improve healthcare was the creation of The Commission on Heart Disease, Cancer and Strokes (HDCS). Combined, these diseases accounted for 71 percent of the nation's deaths in 1962. To enact recommendations of the commission, Johnson asked Congress for funds to set up the Regional Medical Program (RMP), to create a network of hospitals with federally funded research and practice; Congress passed a significantly watered down version. 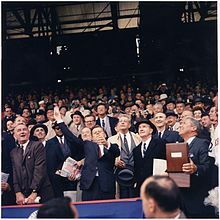 Johnson (center left) and Vice President Spiro Agnew (center right) witness the liftoff of Apollo 11. 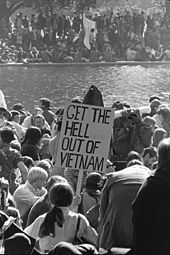 At Kennedy's death, there were 16,000 American military personnel stationed in Vietnam supporting South Vietnam in the war against North Vietnam. Vietnam had been partitioned at the 1954 Geneva Conference into two countries, with North Vietnam led by a Communist government. Johnson subscribed to the Domino Theory in Vietnam and to a containment policy that required America to make a serious effort to stop all Communist expansion. On taking office, Johnson immediately reversed Kennedy's order to withdraw 1,000 military personnel by the end of 1963. 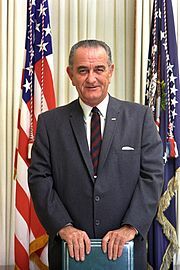 In late summer 1964, Johnson seriously questioned the value of staying in Vietnam but, after meeting with Secretary of State Dean Rusk and Chairman of the Joint Chiefs of Staff Maxwell D. Taylor, declared his readiness "to do more when we had a base" or when Saigon was politically more stable. 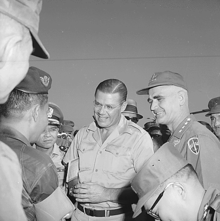 He expanded the numbers and roles of the American military following the Gulf of Tonkin Incident. Johnson made eleven international trips to twenty countries during his presidency. He flew five hundred twenty-three thousand miles (841,690 km) aboard Air Force One while in office. His October 1966 visit to Australia sparked demonstrations from anti-war protesters. 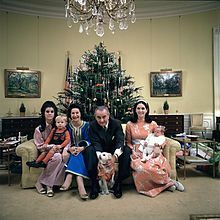 One of the most unusual international trips in presidential history occurred before Christmas in 1967. The President began the trip by going to the memorial service for Australian Prime Minister Harold Holt, who had disappeared in a swimming accident and was presumed drowned. The White House did not reveal in advance to the press that the President would make the first round-the-world presidential trip. The trip was twenty-six thousand nine hundred fifty-nine miles (43,386.3 km) completed in only 112.5 hours (4.7 days). Air Force One crossed the equator twice, stopped at Travis Air Force Base, in Honolulu, Pago Pago, Canberra, Melbourne, Vietnam, Karachi, and Rome. 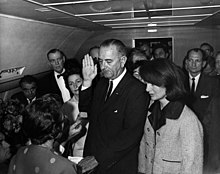 As he had served less than 24 months of President Kennedy's term, Johnson was constitutionally permitted to run for a second full term in the 1968 presidential election under the provisions of the 22nd Amendment. Initially, no prominent Democratic candidate was prepared to run against a sitting president of the Democratic Party. Only Senator Eugene McCarthy of Minnesota challenged Johnson as an anti-war candidate in the New Hampshire primary, hoping to pressure the Democrats to oppose the Vietnam War. On March 12, McCarthy won 42 percent of the primary vote to Johnson's 49 percent, an amazingly strong showing for such a challenger. Four days later, Senator Robert F. Kennedy of New York entered the race. Internal polling by Johnson's campaign in Wisconsin, the next state to hold a primary election, showed the President trailing badly. Johnson did not leave the White House to campaign. 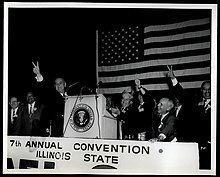 After Robert Kennedy's assassination, Johnson rallied the party bosses and unions to give Humphrey the nomination at the 1968 Democratic National Convention. Personal correspondences between the President and some in the Republican Party suggested Johnson tacitly supported Nelson Rockefeller's campaign. He reportedly said that if Rockefeller became the Republican nominee, he would not campaign against him (and would not campaign for Humphrey). 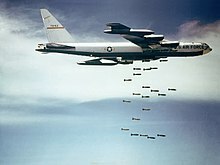 In what was termed the October surprise, Johnson announced to the nation on October 31, 1968, that he had ordered a complete cessation of "all air, naval and artillery bombardment of North Vietnam", effective November 1, should the Hanoi Government be willing to negotiate and citing progress with the Paris peace talks. In the end, Democrats did not fully unite behind Humphrey, enabling Republican candidate Richard Nixon to win the election. 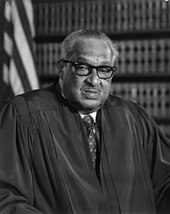 Johnson anticipated court challenges to his legislative measures in 1965, and thought it advantageous to have a "mole" in the Supreme Court who he thought could provide him with inside information, as he was able to get from the legislative branch. Abe Fortas in particular was the individual that Johnson thought could fill the bill. The opportunity arose when an opening occurred for Ambassador to the UN, with Adlai Stevenson's death; Associate Justice Arthur Goldberg accepted Johnson's offer to transfer to the UN position. 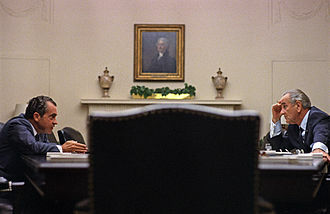 Johnson insisted on Fortas assuming Goldberg's seat, over Fortas's wife's objection that it was too early in his career. Mrs. Fortas expressed disapproval to Johnson personally afterwards. 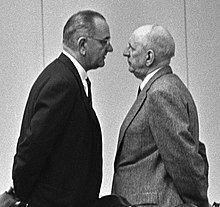 When Earl Warren announced his retirement in 1968, Johnson nominated Fortas to succeed him as Chief Justice of the United States, and nominated Homer Thornberry to succeed Fortas as Associate Justice. However, Fortas's nomination was filibustered by senators, and neither nominee was voted upon by the full Senate. Shortly after Johnson's death, his press secretary Tom Johnson telephoned Walter Cronkite at CBS; Cronkite was live on the air with the CBS Evening News at the time, and a report on Vietnam was cut abruptly while Cronkite was still on the line, so he could break the news. 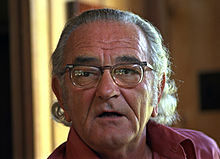 Johnson's death came two days after Richard Nixon's second inauguration, which followed Nixon's landslide victory in the 1972 election. His death meant that for the first time since 1933, when Calvin Coolidge died during Herbert Hoover's final months in office, that there were no former Presidents still living; Johnson had been the only living ex-President since December 26, 1972, following the death of Harry S. Truman. As of 2019 [update], Johnson remains the most recent former Democratic President to die. The Manned Spacecraft Center in Houston was renamed the Lyndon B. Johnson Space Center in 1973. Texas created a legal state holiday to be observed on August 27 to mark Johnson's birthday, known as Lyndon Baines Johnson Day. 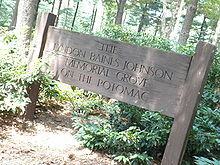 The Lyndon Baines Johnson Memorial Grove on the Potomac was dedicated on April 6, 1976. ^ a b c Janos, Leo. "The Last Days of the President". The Atlantic. Retrieved February 16, 2017.
" Give Us the Ballot"
" How Long, Not Long"
" Beyond Vietnam: A Time to Break Silence"
" We will bury you"